How are you keeping warm and toasty with all of the cold weather and snow? I am actually enjoying a little bit of cooler weather down here in Florida, but I have to admit, I wouldn’t mind being snowed in up in our Ohio condominium with a view of a frozen Lake Erie. Of course that would not mean I have to drive in it or shovel it. 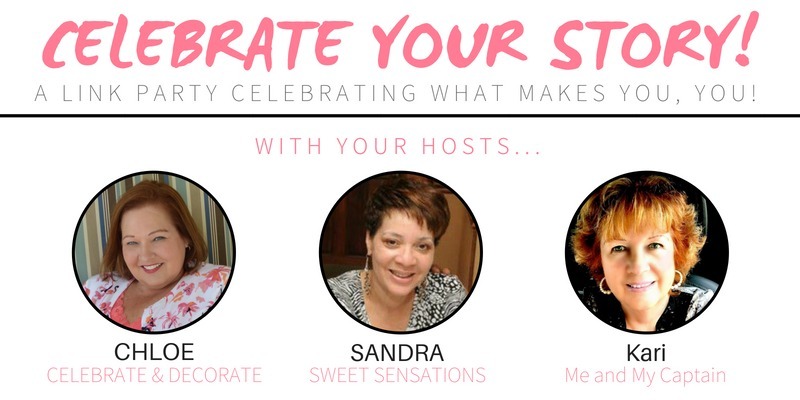 On another note, I am sad to announce that Sandra of Sweet Sensations will be leaving Celebrate Your Story! I have enjoyed her friendship and will miss her dearly, but I can keep up with her amazing cakes over on her blog. She has promised to share links here at Celebrate Your Story! I wish her all the best as she sorts through all of her ongoing obligations. When I first glanced at the photo of Carol’s Pinterest Inspired DIY Valentine Wreath I thought it was fabric, but NO! 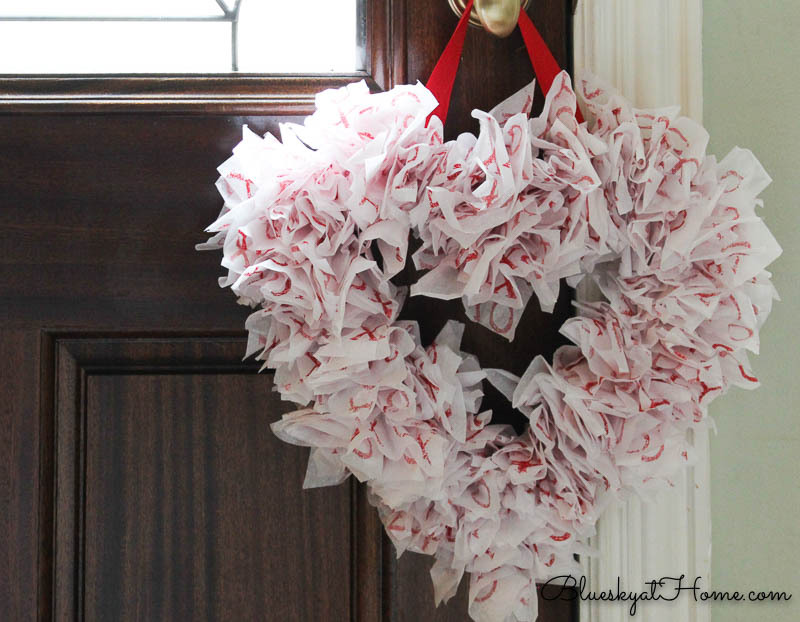 This adorable wreath from Bluesky at Home is sweet X’s and O’s stamped on tissue paper! I am so happy to be sharing this as my featured link this week! 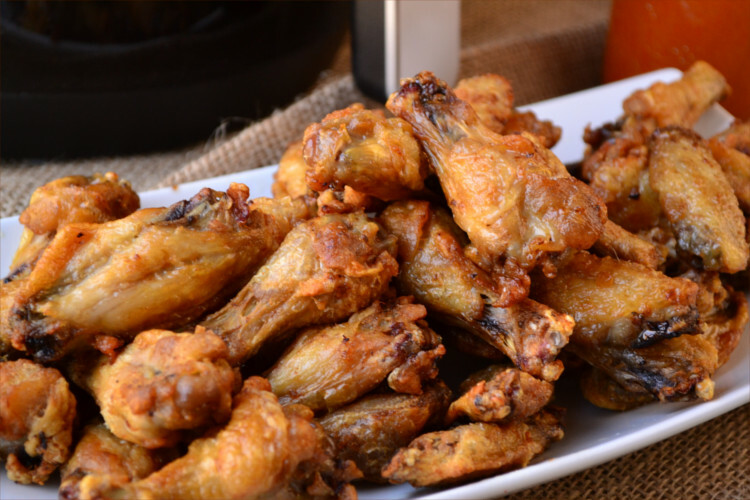 Just in time for all of the big football games, Sandra selected these Air Fryer Extra Crispy Chicken Wings from Robin over at Fluster Buster. I haven’t gotten one of these air fryers, but I might want to think about getting one after reading how simple these are to fix in them! If the wings don’t tempt you, how about a chili dog? Kari selected Somewhat Awry‘s Quick and Easy Hot Dog Chili. I love a chili dog, and I will have mine with onions, please! 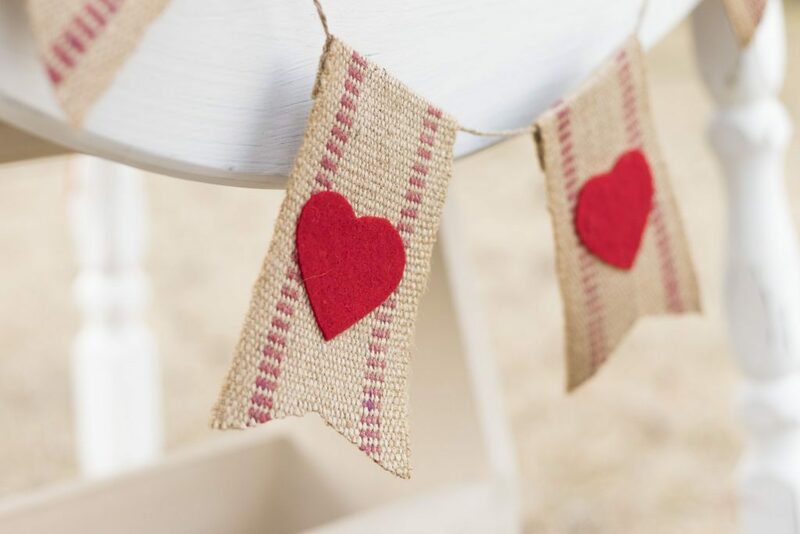 The most clicked link last week was this sweet Valentine Bunting DIY from Kippi at Home. Head on over and follow Kippi’s DIY to make your own! Thanks so much for hosting Chloe. Have a great week! Thank you Chloe! 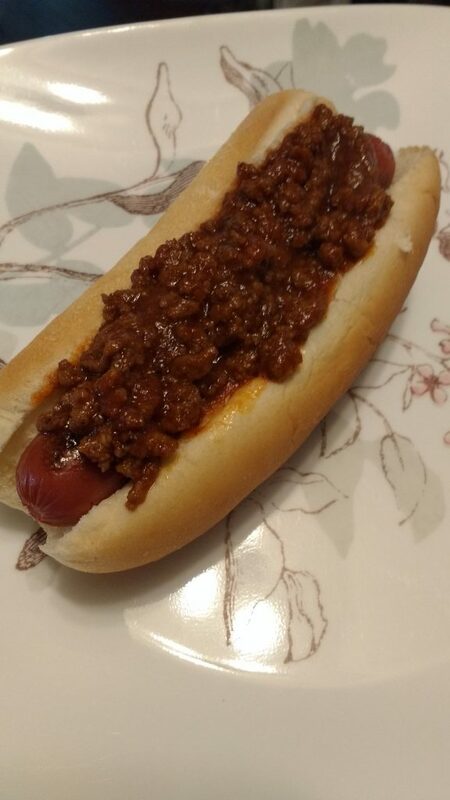 Who doesn’t love a chili dog with onions! Thanks for the party, Chloe. We aren’t having much of a winter in Charleston, but after last year’s snow, we’re all okay with that. Charleston doesn’t do snow days well. Hope you have a wonderful week. Thank you for hosting another week, Chloe! Hope you’ll visit us at Homestyle Gathering! Thank you Chloe for your 164th Celebrate Your Story, always appreciated. Chloe, Thank you so much for the big shout out and feature of my Valentine wreath. It was such a fun project and I was so thrilled (and relieved) that my idea of stenciling on the tissue paper worked just as I invisioned. Love the party. Thank you so much for hosting every week! And thank you so much to Kari for featuring my recipe. I hope you all love it as much as we do!